Below is the tentative schedule for the 2019 LFG Football Camp in Pennsylvania. Please note that times and sessions may be subject to change for future camps. 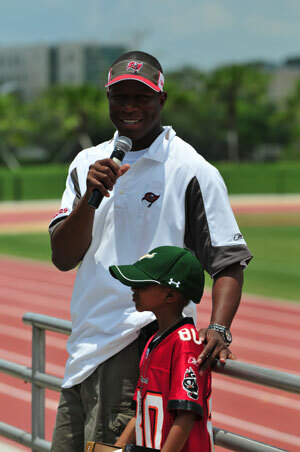 Tampa Bay Buccaneers head coach Raheem Morris was the guest speaker at the 2009 LFG Football Camp in Florida.